An entertaining journey of several lifetimes. 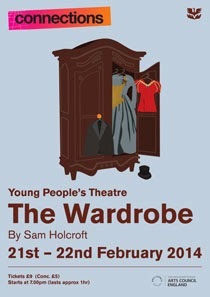 A journey through 9 eras in the life of a large wardrobe is the Sam Holcroft’s play which is one of 10 specially commissioned by the National Theatre for and about young people. 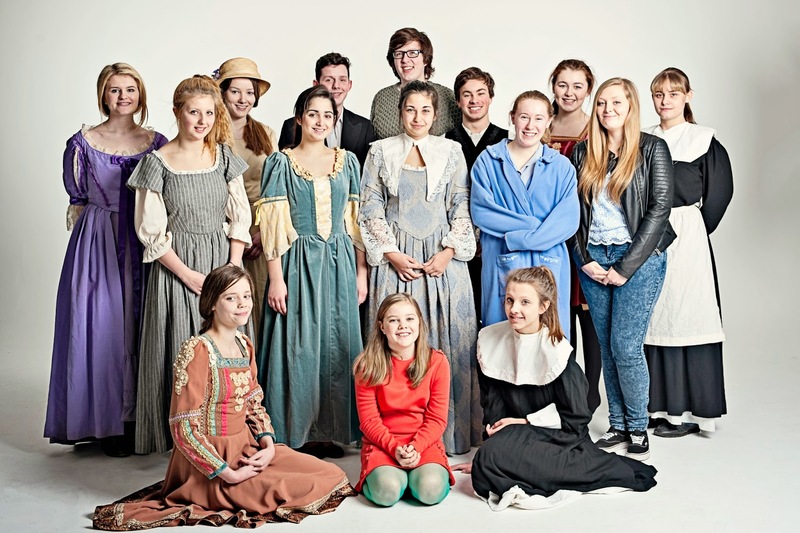 Around the country 230 youth theatre groups will be performing these plays at 26 regional theatres such as Newcastle’s Northern Stage. The play opens up in 1485 with Elizabeth of York worrying about marrying Henry VII who killed her uncle King Richard III and hence uniting the warring factions. Her sister, Cicley tries to talk it through as they hide in the wardrobe. Grace Dekker and Grace Dickson are dressed in fine costumes and set up the play well in their short scene of sisterly love. The problems with religious intolerance are then explored by the entertaining Jessica Smith and Maeve Thorpe. They explore Hebrew, decorating cups with nasal emissions and the arrival of strange exotic fruit. Despite the gravity of the underlying theme, religious persecution, the young pairing also deliver a number of light hearted moments. 1644 brings with it war and the wardrobe is a place of refuge for the characters played by Rheanne Boothroyd, Natalie Storr, Simon Stuart and Arthur Thorpe. The tension is palpable as drastic action is necessary to keep their cover. The plague then haunts Eva Petrovic, Romaana Shakir and Jessica Smith in 1665 as dreams of becoming an actress are halted by the worries of the disease which is killing the doctors. In these time zones the audience are likely to forget the youthfulness of the cast and be drawn into the serious issues of the time. It is a challenge to appear on stage – let alone to do so speaking another language and Arthur Thorpe and Megan Watt demonstrate self-defence 1720 style. Jack The Ripper’s gruesome acts are recounted from the newspaper in the next sketch as Steven Findlay, Thomas Knight, Dylan Knights and Simon Stuart are horrified by the Spittlefields murder. The wardrobe continues to hide and usually protect its youthful occupants. Come 1916 and a young couple played by Nathan Hussain and Nuala Schweppe consider settling down despite a call up to fight in the war. Once again the uncertainty of the future is portrayed in a believable yet entertaining way. The set, designed by Sands Dobson, continues to be effectively used and the sound design by Michael Cornish helps maintain the pace as we change scenarios. Fewer worries seem to exist in 1965 Maeve Thorpe sets up a story in the wardrobe for Amber Usher. The then fifteen year old story by CS Lewis is given an entertaining twist with icing sugar. Finally cyber bullying and the issues facing modern day teenagers are explored by Michael Critchlow and Jessica Rootham who take refuge in what has now become a museum exhibit. One can forget that this is an amateur production performed by the Young Peoples Theatre and enjoy the story as it unfolds. The costumes designed by Dianne Edwards and Carole Shepherd were exquisite, the storyline believable and well acted with no weak link in the company. All in all it is an entertaining production. This limited two-night run finishes on Saturday 22ndFebruary at Newcastle’s Peoples Theatre before its transfer to Northern Stage for an additional performance on Tuesday 22nd April.